Methwold01553 763044work VillageThe parish of Methwold also includes the hamlets of Methwold Hythe, approximately 1 mile (1.6 km) west of the village and Brookville to the north east. The village is situated on a sloping site on the edge of the chalk land which rises out of the surrounding lowlands of the Fens. The landscape to the east of the village, where the Thetford Forest begins, is totally different to the wide panorama of fenland to the west. The settlement grew in medieval times when a market was held on Market Hill where the market cross still stands within the churchyard. The present church of St George was constructed in the 14th and 15th centuries. In the 15th century an octagonal corona and a long, thin spire were built on the tower which today remain a particularly distinctive feature. 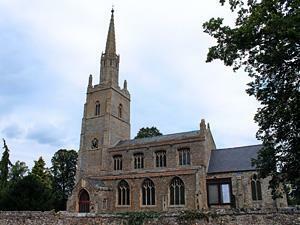 The parish of Methwold also includes the hamlets of Methwold Hythe, approximately 1 mile (1.6 km) west of the village and Brookville to the north east. One of Methwold's proudest attributes is the auction market which holds a sale every Monday in the middle of the village about halfway down the High Street. The village has butchers general store and post office as well a public house The George. There is a further public house The Green Man at Methwold Hythe.